A startup company by the name of Soft Machines has just exited its “stealth” phase and gone public for the first time at the Linley Processor Conference. Which many startups go through to ensure that their ideas are protected and their principal goals are met before they go public. 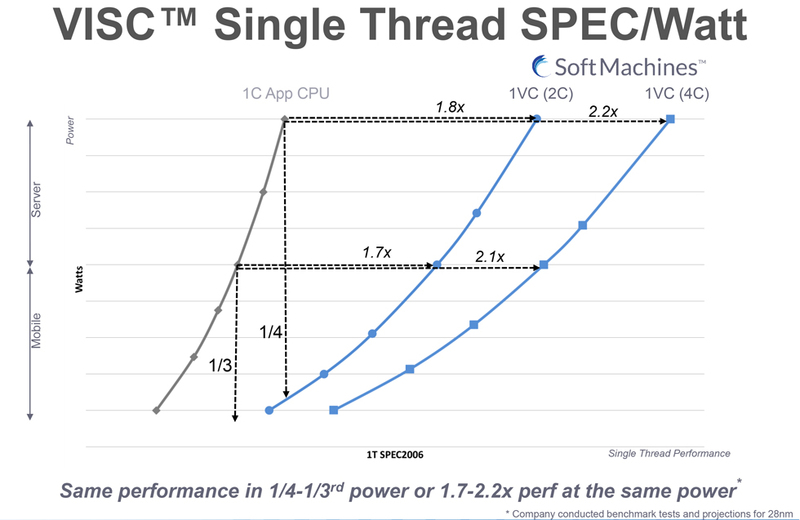 “The VISC architecture achieves 3-4 times more instructions per cycle (IPC), resulting in 2-4 times higher performance per watt on single- and multi-threaded applications. Moreover, VISC uses a light-weight “virtual software layer” that makes VISC architecture applicable to existing as well as new software ecosystems.” The company claimed in its press release. Soft Machines is based in Santa Clara, California, USA with operations in India and Russia. It has over 250 employees and is in the business of licensing and co-developing VISC-architecture-based Core and SoC products. 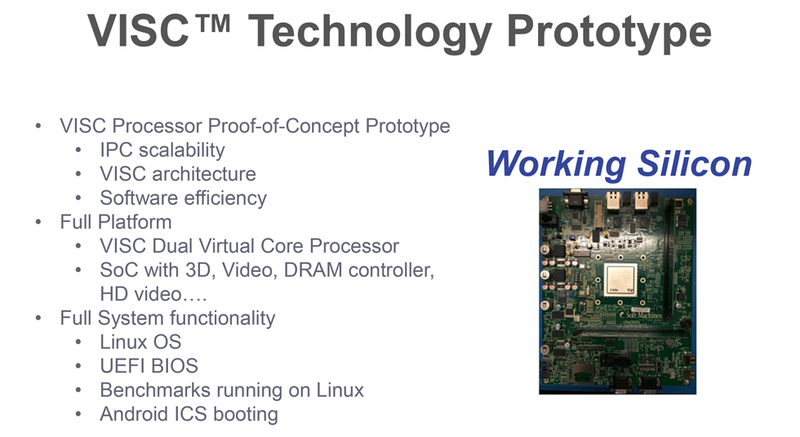 It’s been operating since 2006 to deliver a new type of CPU architecture the company calls VISC. Which is short for Virtual Instruction Set Computing. The CEO of the company Mahesh Lingareddy along with the President, CTO and co-founder Mohammad Abdallah both came from Intel to found Soft Machines. Their principal goal was to bring back single-threaded scaling at the pace of golden age Silicon Valley and they plan to do just that with the VISC architecture. Soft Machines has already accumulated over $125 million in funding. Leading investors are Samsung Ventures, AMD and Mubadala, the Abu Dhabi owned parent company of AMD’s ex-manufacturing arm Globalfoundries. 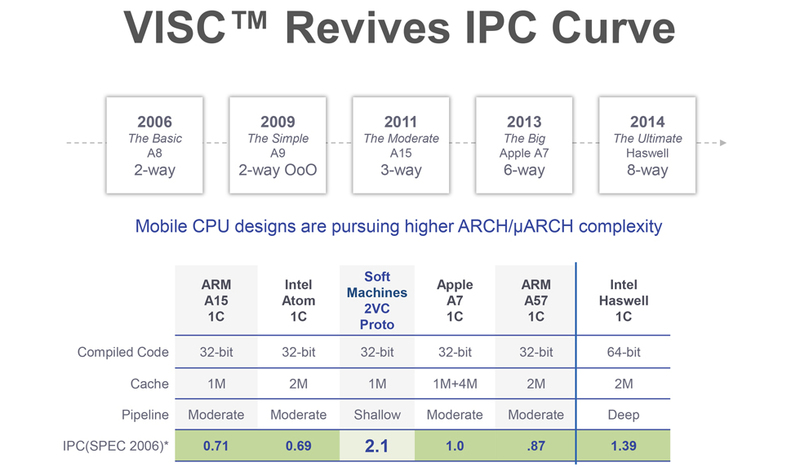 Intel, AMD, ARM… you name it have only managed to improve IPC by less than 10% with every generation. 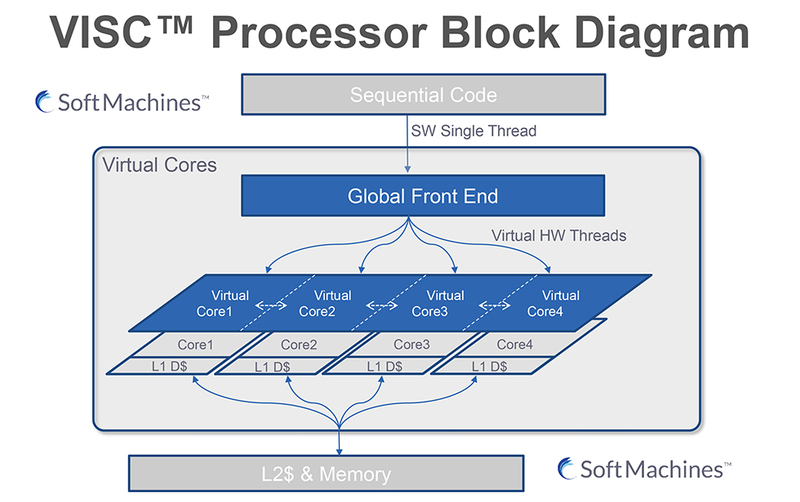 Soft Machines promises to offer triple and even quadruple the IPC of current processors and at a lower power envelope. That’s a very ambitious goal but the company already has working prototype hardware to back it up. The company already showcased a working dual virtual core processor running Linux. The SOC in question was built on TSMC’s 28nm process and has 1 billion transistors. Of which only 20% are dedicated to the core IP of Soft Machines. The end result is mighty impressive. The VISC implementation outpaced all other competing CPU cores without exception. Even outperfroming Intel’s Haswell core by a sizable 51%. That’s a very impressive lead considering that the company actually intends to address an aggressively low power envelope that would facilitate going into mobile devices such as wearables, phones and tablets. The technology works by allowing multiple CPU cores to work on a single software thread. Something that was previously thought impossible. The company didn’t go into the specifics of how this is achieved but they state that it’s compatible with any ISA (Instruction Set Architecture). Meaning we could very well see this technology adopted by Samsung and AMD in ARM and x86 CPU architectures. 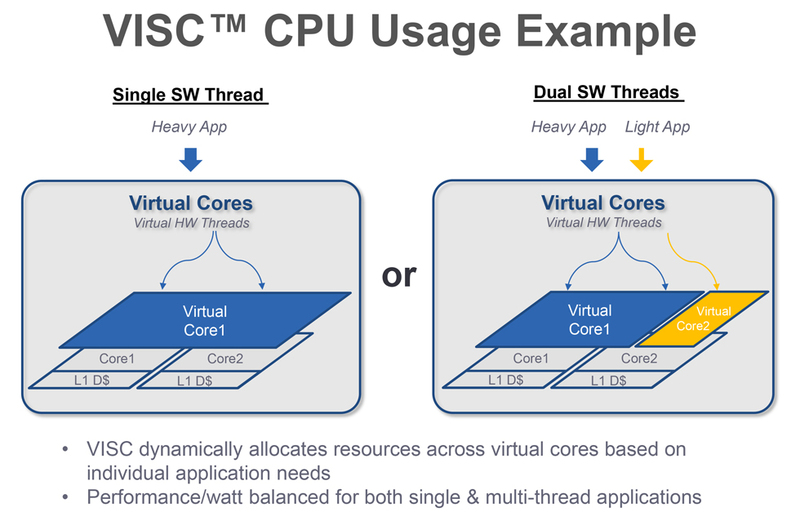 This is obviously important because it enables performance gains in single threaded applications when using multi-core CPUs. We no longer have to be as reliant on the software to be smart enough to fully utilize a multi-core CPU. And that’s indeed an exciting prospect to ponder upon if only briefly.